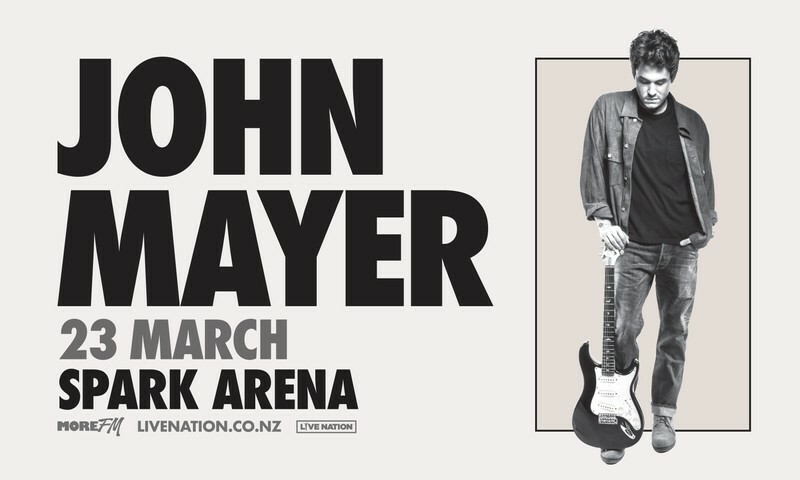 John Mayer will be kicking off his 2019 World Tour on Saturday, March 23, 2019, in Auckland, New Zealand at Spark Arena, followed by three Australian concerts - one show only at the Brisbane Entertainment Centre on March 25; Melbourne’s Rod Laver Arena on March 27; and Sydney’s Qudos Bank Arena on Friday, March 29. Mayer’s last album, The Search For Everything (2017 through Sony Music New Zealand), is his seventh studio album and eighth RMNZ Top 40, preceded by debut album Room for Squares in 2002, Heavier Things (2003), Platinum album Continuum (2006), Gold album Battle Studies (2009), and RMNZ #1 Born and Raised (2012) plus 2013’s Paradise Valley. Singer/songwriter/artist John Mayer has won seven Grammy awards and has earned a record seven U.S. #1s on Billboard’s Top Rock Albums chart and 25 entries on the Hot Rock Songs chart, the most for any solo artist. In 2018, he released the Gold-certified “New Light,” while working on his eighth solo album, the follow-up to 2017’s critically acclaimed The Search for Everything.